Providing interpretation services for a large conference. Not as easy as it sounds. An interpretation project manager must source and schedule simultaneous interpreters. Make sure all interpretation equipment works and that it gets delivered to the convention location on time. Deal with changes to dates, rooms available, number of languages desired, and more. I have done interpretation project management for over 10 years. I don’t see myself as a novice, but every once in a while I actually have to put my hands on my head to see if it’s really spinning or not! I’m picturing myself as the girl in Exorcist over and over again for this particular [U.S. Translation Company interpretation contract for a software company] event… I quoted the client based on 3 languages for 3 days and we are good to go. Then the client came back about a month later asking me to raise the number of interpreters for each language because they added rooms that will run events simultaneously… After another few weeks, they sent another schedule with even more rooms and now I have 18 interpreters for Japanese and 10 for Korean and 10 for Chinese… Oh, I forgot to mention this is a technology conference! So, I need 38 interpreters, all with a software technology background. Despite Kathy’s logistical overwhelm, she handled that particular event with aplomb, delivering a flawless interpretation experience for the conference attendees. As per usual. Sourcing and managing interpretation equipment: a major component. Along with scheduling and managing the actual simultaneous interpreters—a subject for a future post—interpretation equipment determines the event outcome. The right equipment, correctly orchestrated, allows a for seamless interpretation service. The wrong equipment, or any snafu related to equipment logistics, well, perish the awful thought. Every U.S. Translation Company interpretation project includes the following four pieces of equipment, made by the likes of Listen Technologies and Williams Sound. #1: The Simultaneous Interpreter’s Headset. The simultaneous interpreter works linguistic magic, taking in a presenter’s speech and instantly transforming it into another language. The interpretation headset facilitates all of this. It incorporates a receiver, a microphone, and headphones into one device. The receiver operates on low-frequency FM channels to bring the presenter’s voice through the headphones and into the interpreter’s auditory cortex, where billions of neurons work overtime to process each dipthong, fricative and plosive, assigning meaning in milliseconds and outputting that meaning in an entirely different semiotic system. The interpreter articulates this second language into the mic, which plugs into the console (more about which below). The behemoth of the interpretation equipment entourage, interpretation booths provide a quiet space in which the interpreter works her verbal magic. A normal interpretation contract specifies an interpretation booth for each outgoing language. Interpretation booths serve several important roles. They dampen the simultaneous interpreter’s voice, cutting out any echo effect for the interpreter’s listeners. They quell ambient noise. They also house the console. Interpretation booths come in two primary forms: tabletop and freestanding. Tabletop booths, as the name suggests, rest on top of a table. 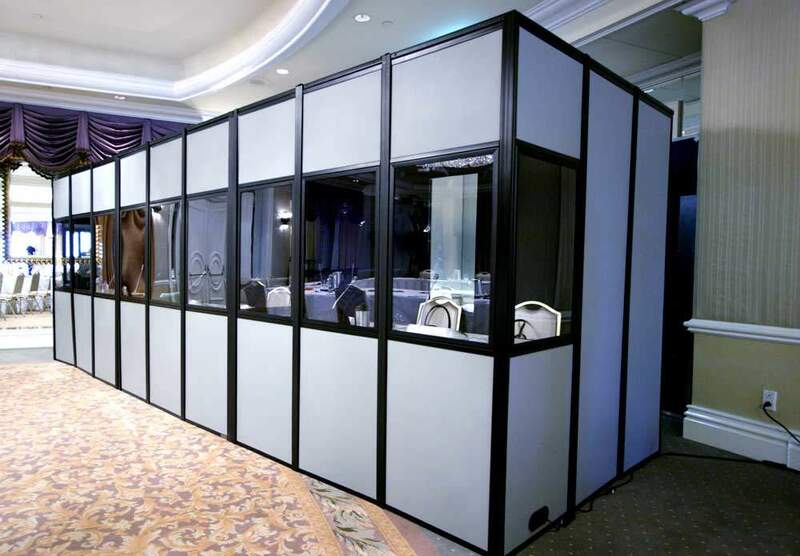 Typically, one booth accommodates two interpreters, who lean forward, extending their heads into its sound-dampening interior to listen and to speak. Freestanding booths resemble a fully-enclosed office cubicle. They feature padded walls, glass panels, and soundproof design. In this silent womb, an interpreter might as well be miles away, so removed from the event does she feel. Often, however, the freestanding booth occupies the back of the event space. Whenever the interpreter glances out of her confinement through the soundproof glass, she sees the gesticulations of attendees and presenters, the flickering of gigantic projection screens. Yet, the only sound enters through her headphones. If she takes these off, she experiences an eerie, powerful silence. An enclosed interpretation booth seats two to three interpreters (though they can run even larger), contains a table running the length of the booth’s interior. The booth offers shelving or storage slots for interpreters to stash and retrieve their items. Notes, conference agendas, speaker bios, briefings, technical documents, and other materials. They contain their own ventilation system and air supply with individual climate controls for adjusting the heat or air conditioning within the booth. The interpretation booth has its own lighting system, allowing the simultaneous interpreter to view her console and materials even if room lighting has been dimmed. Booth lighting features a dimmer and uses incandescent or LED bulbs. Fluorescent light, with its crackling, degrades the simultaneous interpreter’s sound fidelity, and also interferes with interpretation equipment frequencies. For enclosed (freestanding) interpretation booths, proper seating is essential. The tight quarters and the length of interpretation stints demand small, comfortable chairs. Optimally, the chairs have wheels for interpreter mobility. Wheels and other chair functions should operate silently, for obvious reasons. The console functions as a sort of interpretation control unit, through which the interpreter manages sound input, sound output, and relay functions. We might think of the console as the electronic nerve center of the interpretation equipment assemblage. Simultaneous interpreters’ microphones plug into their consoles, which broadcast each interpreter’s voice to conference attendees in their respective languages. Again, each tongue gets carried on its own FM frequency to which attendees listen. A console operates silently — no whirring sound like that from an overtaxed MacBook Pro — with switches and dials that have been designed for soundproof manipulation. No whirs, clicks, or other distractions. Controls for listening, speaking, tone control, treble and bass adjustment, etc. should have clear markings for low-light visibility. Most interpretation consoles feature a kill button which, when pressed, mutes all sound from the interpreter to his listeners — especially handy in the event of a recalcitrant sneeze or cough. The interpretation console contains separate input and output functions, both of which can adjust for optimal sound intensity, pitch and tone by the interpreter or the interpretation equipment technician. An audience member wears a headset or earbuds tuned to a receiver which she wears clipped to her clothing (or perhaps holds in her hand, depending on preference). The receiver has a dial, much like a radio, which the listener dials to a pre-assigned frequency corresponding to her native language. The interpretation equipment technician operates behind the scenes. Or sometimes in front of them. U.S. 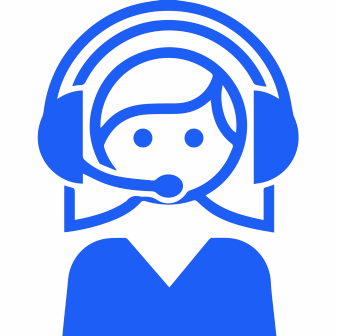 Translation Company project managers normally provide a technician for every 3-4 simultaneous interpreters. These electronics wizards set up all the interpretation equipment prior to the event. During the interpretation process, they scurry from booth to booth, checking on the functionality and making the appropriate adjustments. Post-event, they’re left to tear down the interpretation equipment and stuff it back in its cases for return to the U.S. Translation Company facility. When a project warrants, a U.S. Translation Company project manager can manage the entire operation on-site. While this is not strictly necessary — our PMs have successfully managed hundreds of interpretation projects remotely — many of our clients prefer the physical presence of a project manager. 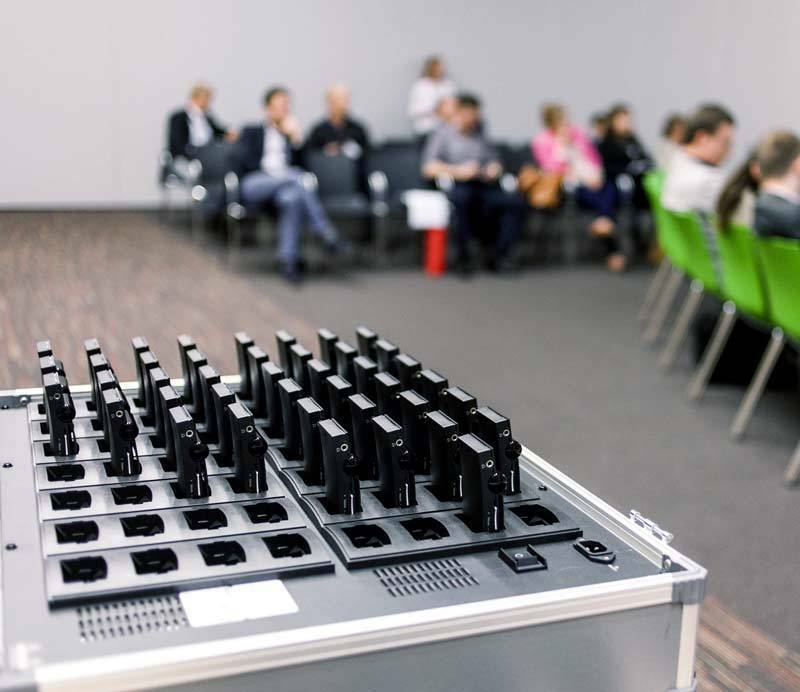 Whether remote or on-site, the PM orchestrates shipping and transport of interpretation equipment, travel and lodging for interpreters, setup and technical supervision of interpretation equipment, and all of the other details of successful conference interpretation. KUDOS TO THE U.S. TRANSLATION COMPANY PROJECT MANAGERS, SIMULTANEOUS INTERPRETERS, TECHS AND THE REST OF THE INTERPRETATION TEAM! It’s not an easy job, but it can be extremely rewarding. And, functional interpretation equipment, properly scoped for the project, is integral to mission success. Check out our Kyani case study for an example of a multilingual conference interpretation job done right!